Begin with Maus I and Maus II. And then move on to MetaMaus, filled with images from the book and discussions with Art, and his wife and two children, about what it all means, his process, his motivations, and the impact these powerful little books have had on all of them. At the outset, let me say, holy magnificent book. MetaMaus asks the questions (according to its back cover), why the Holocaust? why mice? why comics? And of course, the Holocaust is the easiest to answer, to me: the Holocaust because it was what he knew (“write what you know”), except that he didn’t know the Holocaust. 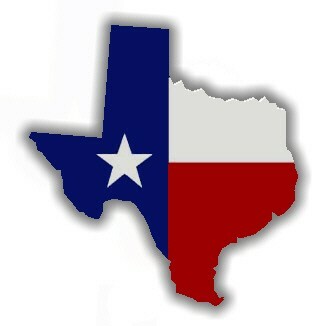 He emphasizes that. (And I confess it surprised me, that a survivors’ son could have grown up with such a limited knowledge of what happened so recently, and so centrally to his own personal and family history. I had a fairly decent, basic grasp of the Holocaust in grade school. But then, I grew up a full generation after the author did. Clearly a lot had changed.) Still, it was what arced over him, what oppressed him or at least leaned against him; what else was there? In fact, my surprise was that it wasn’t that obvious – that he wasn’t driven to write (draw) about the Holocaust, at least not that he knew: “What consciously motivated me was the impulse of wanting to do a long comic that needed a bookmark.” He needed to make a full-length comic, as it turned out. Who knew. I am baffled by the visual arts, at least as much as I am stimulated and inspired by the written/verbal ones; most of the visual artistry of Maus escaped me before reading this book, which is part of why I found it so wonderful. Unlike many monographs meant to elucidate the visual arts for us plebeians, this really brought it home to me, exposed so much more, increased my understanding & appreciation. But the real question I was here for: why mice? Honestly, this was my chief concern (followed by: why cats, why pigs, why dogs…) and all those questions are answered, happily. And of course there are only more questions behind them, much discussion of the imagery and symbolism that belongs to animals in different cultures, for example, and some of that taking-back of the derogatory where Jews were called rats by the Nazis, for example. MetaMaus follows these paths, and lets us get to know the author. I found it very satisfying, after getting to know a version of him and feel him so strongly. We should always be so lucky. And then the CD! This book is accompanied by a CD with complete images of both of the books; over 7,000 early sketches & studies & the like; video and audio files including recordings of interviews with Vladek; and some of the pamphlets off his mother’s bookshelf that Art used in his research. I think there were about 4 hours of Vladek interviews – the man’s actual voice! – and an hour-long home movie made by Art and Francoise on a visit to Auschwitz. Holy smokes, the CD is chock-full of goodies. I did not exhaustively study it, I confess. There was just so much; and I felt so well-served by the reading of the book itself. I did enjoy listening to Vladek’s voice, though: it brought everything to life, and was an interesting counterpoint to the relative unreality of comics. Of course another theme of the book is the power and faultiness of memory. I love memoir, and I love that memoir almost inevitably has to confront this obstacle: the ‘mem’ in memoir is unavoidably problematic, at least enough to raise questions. In Maus‘s case, the clearest example comes when Vladek describes leaving Auschwitz and denies that there was an orchestra playing at the gates. As Art has documented, there is substantial support for the existence of this orchestra: there are photographs, and there are eyewitnesses among the Nazis, the Jews, and the musicians. But Vladek is sure there was no orchestra. What to do? I love Art’s discussion of the problem: how he could have represented Vladek’s version, or the official one, or left the whole question out of his story; but he instead elected to show the actual question. There is a panel in which there is an orchestra – followed by Vladek’s denial of the orchestra – followed by a panel in which the orchestra is no longer present, except that if you look closely, you can see the tips and shadows of their presence behind the marching prisoners. This is really something. Of course, when I read the comic, I didn’t catch that visual shadow, just the discussion of the question. I learned a lot of intriguing details. Who knew the size of these (quite small) comics was so important to Spiegelman? Or more surprising, that he drew the originals in that same small size? And the details about the different reactions to the books in different countries (it’s been translated into some thirty languages) were fascinating to me. I had innumerable little details of the comics pointed out to me and elucidated – things I would never, in 100 readings, have figured out for myself, but value greatly once they were explained to me. But I most enjoyed the feeling of greater intimacy with a very talented, and unique artist. And I remain boggled by the dual artistry of the composition of this book as narrative, next to the visual artistry of the comic aspect. Art Spiegelman is a special man. 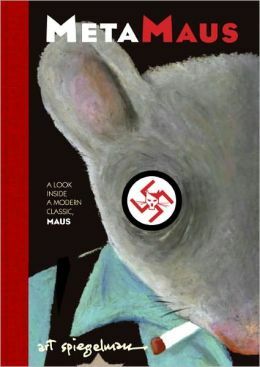 The two Maus books were special, and should be required reading (for, I don’t know, everyone). And then if you like those – do yourself a favor and immerse yourself in this behind-the-scenes look. If you appreciate art (in any format) and are interested in process, also check this one out. And for those of you who prefer other formats than plain old reading, the CD has a great deal to offer in formats all over the map. Major win! I do like to communicate clearly. It’s a pleasure. And as soon as one is involved with communication, one’s already suspect in the High Arts. A lot of what happens in the more rarefied precincts of art is that the word “communication” gets replaced by “communion,” and one is involved in a kind of religious experience with the artist as shaman. And that’s really different than, “Hey, I’ll tell you a yarn.” Or even “I’ll tell you a parable,” if you want to be didactic. And it’s always been either a skill or a deficiency that I try to make contact with with people. I appreciate this, because I think High Arts (his phrase, but I like it) can sometimes let us down a great deal when it gets religious, or mysterious, or snooty. I’m not saying everything has to be forever perfectly literal and transparent, and I do enjoy moments of inexplicable beauty. But I think it’s exclusive and elitist to shun honest communication. Everything drawn in the so-called past in the story that Vladek is telling is very clearly an attempt by the son to show what the father is telling. And that offered a margin within which to operate authentically. The fact that you’re told that I’m trying to show you what I understand of what Vladek is telling me is built into the fabric of the narrative itself, and allows that narrative to get told. This reminds me of one of my favorite movies, 2 Seconds. There is an extended sequence where Lorenzo is telling Laurie the story of his professional bike racing career and how it ended. He speaks, and we see the action he is describing – but we see it as imagined by Laurie as she listens – but apparently Lorenzo can see it too, because he corrects it here and there. For example, he’s describing walking down a country road, and we see a young man doing just that, and kind of waddling on his clipless cycling shoes, with the cleats on them. And then we skip back to Lorenzo and Laurie sitting and talking, and he corrects her: “no no, we didn’t waddle, our shoes were soft leather” (I paraphrase). Skip back to the young man walking down the country road, smoothly on his smooth soles. I love love love this effect. In the same way, for example, in the question of the orchestra at Auschwitz, Spiegelman makes it clear that his father is correctly his visualization as they go. And this makes it honest and clear that he is only telling a story as told to him and as he understands it, which I appreciate deeply for its honesty. One night, we’re going down to feed the cats after one of our snooze-and-probe sessions, and he’s carrying those scraps downstairs and he says, apropos of I don’t remember what, that basically he’s a nihilist. And I ask him how this involves getting up in the middle of the night to talk to dying AIDS patients, and being so available to patients way past the point of it being good for his health, and he says something that one might take as just an off-the-cuff remark, but I found profound: “Well, I decided that behaving ethically was the most nihilistic thing I could do.” It delighted me as an idea, as a way of living one’s life. [The word ‘story’] comes from medieval Latin historia. It refers to those very early comic strips made before the invention of newsprint: the stained-glass windows that told a superhero story about that guy who could walk on water and turn it into wine. This is how in English, the word ‘story’ has come to mean both story as in stories of a building and story as a narrative. And at that point one is steered toward an architectural model for what a comic is, something very basic about comics narrative. Comics pages are structures made up of panels, sort of the way the windows in a church articulate a story. Thinking of these pages as units that have to be joined together, as if each page was some kind of building with windows init, was something that often happens overtly in Maus, and sometimes is just implicit in the DNA of the medium. Story as architecture was a little mind-blowing to me, too. Allow these few examples to show how deeply thought-provoking I found this book. It’s a really dense, exciting experience. So, to sum up: I found each Maus book thrilling and touching it itself. MetaMaus was equally thrilling and touching, increased the experience of both Mauses, and additionally set loose all kind of thought threads for me, that I have listed here as briefly as I could stand so as to not ramble on all day. Clearly I’m a fan. Pick up this book, and keep your notebook handy as you go. Rating: what the hell, 10 sketches. Given how his relationship with his father is portrayed in Maus, this actually doesn’t surprise me at all. It would, almost inevitably, take maturity to want to take that step (if then). It’s interesting that he had (from what you say) conscious reasons for the mice, the cats, and so on. I guess because of the way I work, I think I’ve always assumed that’s just how the ideas came to him. There’s a whole part in the beginning of the movie Inglourious Basterds about the “Jews as rats” idea, by the way. I am amazed (and somehow) pleased that he actually drew the books at that size. I’ve known a lot of comic artists, and I’ve been reading comic books for half a century, and it’s only a slight exaggeration to say that nobody does it that way. I love it when artists pay no attention to how things are “always” done. Glad to have stimulated your interest, Anthony! And you have a great point about his ignorance of his dad’s experience, of course. I’ll look forward to hearing about what you have to say. I loved Maus I and II. Didn’t know about this one. Thanks for the review! If you loved the Mauses, you must read this book! I hope you love it, too.